KUWAIT CITY, Nov 11: “Kuwait has the capacity to accommodate only half of 3.2 million expatriates currently residing here – around 1.5 million -which suit the population structure of the country, says Assistant Undersecretary for Citizenship, Residency and Passports Affairs in the Interior Ministry Major General Sheikh Mazen Al-Jarrah. In his interview, Sheikh Al-Jarrah pointed out “the expatriates play a big role in the development of various fields in this country such as construction, education and health while there are advisors, traders and people with capitals amongst them.” He disclosed the number of those who violated the Residency Law is around 113,000; asserting there will be no grace period to amend the status of those proven to have violated the law. He called on all erring expatriates to rectify their residency status and pay the corresponding fines. He explained the expatriates, who were arrested for violating the Residency Law and have penalties to settle, will be deported and they will never be allowed to return to the country. He affirmed “the expatriates enjoy all rights and they have obligations.” Talking about the controversial statement he made on TV that expatriates go to ceremony halls to eat, Al-Mazen clarified some expatriates are business people whose employees include citizens and their financial status is good. “What I meant about expatriates going to ceremony halls to eat are the marginalized laborers who fell victims to visa traders. We are exhausting all means to fight against visa traders because they ‘throw ‘the laborers out into the street,” he added. 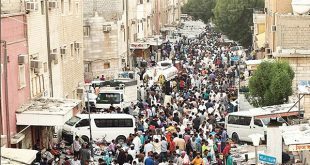 Comparing fees imposed on expatriates in Kuwait to that of other GCC countries, Sheikh Al-Jarrah stressed the fees for the issuance of residency permits and visit visas in Kuwait are lower than other countries in the GCC. He argued, “Some GCC countries even impose fees for using the roads, in addition to high prices of commodities. In Kuwait, the prices are low for fuel, accommodation and services which expatriates enjoy”. Question: Is the door of self-sponsorship open? file is clean and without criminal record. It also covers expatriates working in government institutions. Q: Will the fee for self-sponsorship according to Article 24 increase? A: We are currently studying the possibility of increasing the fee from KD 10 to KD 200. Q: Will the proposed fee include domestic workers? A: Domestic workers (Article 20) will be excluded. We are keen on ensuring that citizens are kept out of extra fees. Q: Is it true that Residence Affairs Sector will push ahead the ‘Kuwaitization’ plan in all its departments? A: Yes, we are ready to apply Kuwaitization plan by recruiting academic efficient national personnel in all departments of the Residence Affairs Sector and service centers. Q: How many residence violators are in the country? A: The number of violators of residency law is currently 113,000 among them marginal personnel. Q: What measures have been taken against visa traders? A: In coordination with the Ministry of Social Affairs and Labor, some people were referred to the Public Prosecution for running fake companies; three of them had more than 10 illusory companies and with several marginal personnel registered in their name. Q: Will there be grace period for residency violators to modify their position legally? A: No. 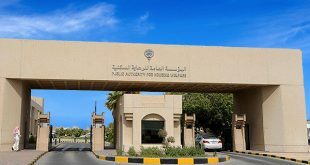 Violators of residency law will not be given grace period to amend their status, because the Deputy Premier and Minister of Interior Sheikh Mohammed Al-Khalid is against the idea. Q: What measures have been taken regarding Syrians who violated the residency law? A: Based on the decision of Cabinet, the Minister of Interior gave the green light to modify their status and grant them temporary residence on Article 14 after settling the due fines. Q: What measures will be taken against a residence violator who is arrested before settling the fines? A: The person will be deported right away and won’t be allowed to enter the country again, unless the fine is paid. Q: Is any plan in place to deal with the high cost of recruiting domestic personnel? A: The recruitment agencies are run by companies in the countries where domestic personnel are hired from, and the problem is the same in all GCC countries. Q: What about absconding cases? A: Detectives from Residence Affairs Sector arrests large numbers of individuals wanted for absconding, and we spare no effort to control the phenomenon. Q: Does the sponsor face any legal consequence in such cases? A: The person sheltering the absconder faces legal consequences while the sponsor is obliged to bear the ticket cost. On the headway made in the current phase, he said the term ‘servant’ was changed to ‘domestic worker’ and ‘housemaid’ to ‘baby-sitter’ along the lines of international conventions that call for the protection of life and dignity. Q: What about the new e-passport? A: Thank God we have finished that process. The Central Tenders Committee has approved the company that submitted a reasonable offer and met the stipulated conditions. We also agree with the choice and we should be able to launch this system within six months. We are currently coordinating with the State Audit Bureau. The company will soon supply the required number of equipment, which will be distributed to all citizens’ service centers in all governorates where new e-passports will be issued for people. Families will go to those places for their photographs and fingerprints, and their data will be sent to the information systems center. The process will be in two phases – the first phase will involve complete data gathering and collecting of fingerprints and photographs, while the second stage is the issuance of e-passport following the expiry of the old passports. Q: How about the experience of United Arab Emirates in this regard? A: I was in the UAE couple of days ago and we had visited the Citizenship and Passports Department. We inspected the e-passports, which they began issuing in 2011. 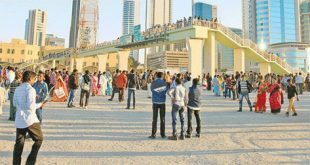 Almost 690,000 Emiratis have so far been issued e-passports. Q: When will the e-passports be issued? A: The e-passports will be ready by the first quarter of next year, but they will be issued after relevant procedures are carried out and after the old passports expire. We should be able to produce large quantities of e-passports within a day next year. Q:Will the color of the passport change? A: By the grace of God, it will not change. Q: What are specifications of the new epassport? A: It will be highly secure and advanced. The Kuwaiti passports are not easy to falsify. 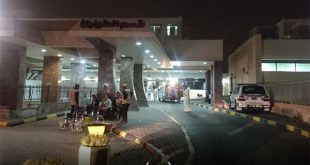 The issue that happened in the past regarding the so-called falsification of Kuwaiti passports was not actually falsification. 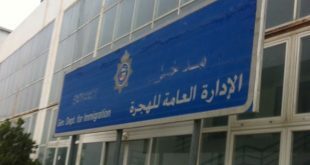 An expatriate employee had issued real passports in a fraudulent manner. It is generally difficult to falsify Kuwaiti passport. The concerned expatriate has been referred to the Public Prosecution Department. While the expatriate is in detention, concerned officers are conducting investigations to identify his accomplices with whom he carried out the atrocity. Q: Will the e-passport system cover Article 17 passports? A: According to the law of International Civil Aviation Organization (ICAO), only citizens of a country can be given passports of that respective country. Therefore, we have been working towards resolving that puzzle. Q: Will there be delivery services for the new e-passport? A: We will activate the online system so that the renewal of passports can be done online. Q: Are there lists for citizenship? A: Regarding this matter, we have the lists of children of Kuwaiti widows and divorcees who meet the allotted conditions. The files will be selected after presenting them to the Minister of Interior and they will be later forwarded to the Higher Committee for Citizenship. From the time I was the Director General for Citizenship and Travel Documents until now, the files of children of Kuwaiti women have been sent to the committee without fail. However, this does not mean everyone whose file is sent will be granted citizenship. Q: Is it true that granting citizenship to non-Kuwaiti spouses of Kuwaiti men has been stopped? A: As per Article 8, granting citizenship is optional, not mandatory. The law grants the Interior Minister the right to take whatever decision he believes is right. 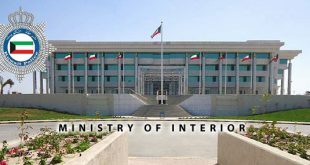 These days, citizenship is granted based on Article 18, which stipulates that the non- Kuwaiti spouses of Kuwaiti men must spend at least five years in their marriage, from the date of application rather than the date of marriage. They must not be under any security restriction. They must be blessed with children.